GOTCHA! Comix | Comix & whatnot that deliver all that & more of nothing much at all! Comix & whatnot that deliver all that & more of nothing much at all! HERE’S A COUPLE SHOWS WE’VE HAD RECENTLY HERE IN LITTLE ROCK THAT I BOOKED & DID THE FLYERS FOR. ONCE AGAIN I FAILED TO POST THEM BEFORE THE GIGS WENT DOWN. I MAY VERY WELL CONTINUE TO POST THEM AFTER THE FACT. I GETTIN GOOD AT DOING IT THAT’A WAY. 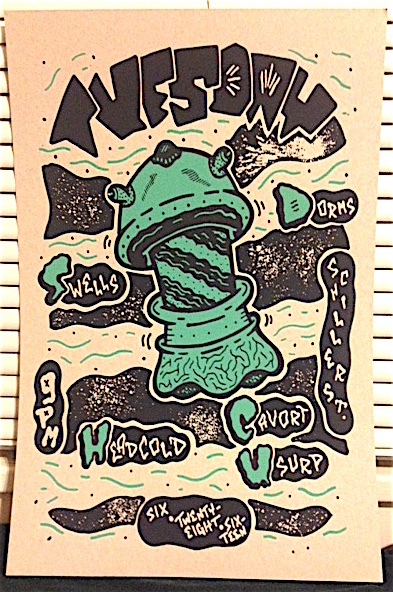 @ YETI IN OKLAHOMA ON 7-9-16…. NEVERMIND THE WAY STICKY GOES ABOUT BOOKIN’ SHOWS… MUUY BIIEN IS ON A MISSION TO HAVE ALL OF LITTLE ROCK’S YOUTH WEARIN’ HEARIN’ AIDS BY NOON THIS WEDNESDAY. 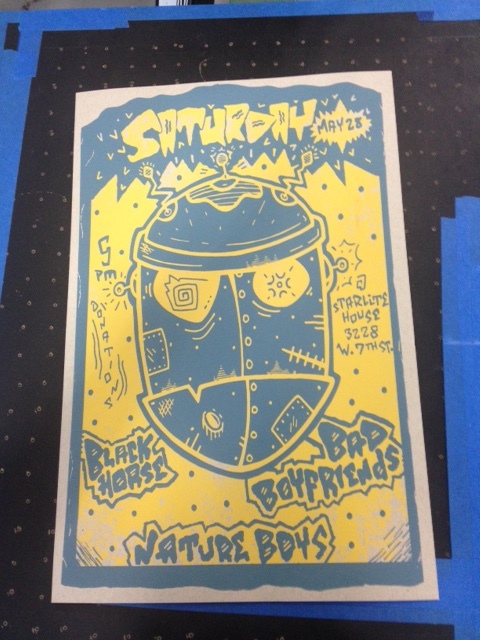 HERE ARE THE FLYERS I JUST FINISHED PRINTING FOR THE NATURE BOYS SHOW ON MAY 28TH @ THE STARLITE HOUSE. THERE’S ONLY ONE PROBLEM… THE ADDRESS IS WRONG ON THE FLYER. YOU AINT GONNA WANNA SHOW UP TO THE ADDRESS THAT’S ON THE FLYER. INSTED GO TO 3219 W. 7TH STREET HERE IN LITTLE ROCK. just finished printing the Lucero family block party thing-a-ma-jig @ Electric Ghost here in little rock. @ minglewood hall in memphis this weekend. 1st run of 200 prints signed & #’d on 19 x25 off-white paper & 2nd run of 100 prints on 19 x25 steal blue paper.